A big thank-you to 3M Milford who donated the printers. 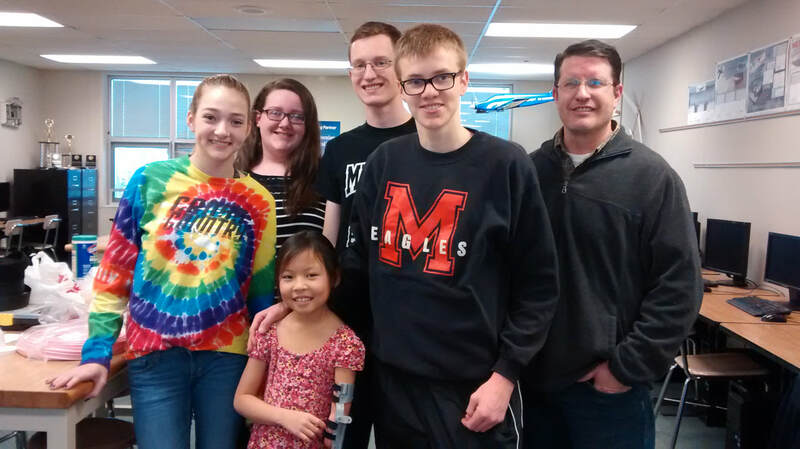 3M engineers also helped mentor during our first project for Hope, who the club is named after. If you would like a device or know of someone who does, please reach out to Hands of HOPE to schedule a meeting. Gabe is a hockey player who just wanted to have a tighter grip on the stick. Click above for the story. Idiege lives in NIGERIA! Milford students are touching lives across the globe! THANK YOU to ITI for sponsoring the project! !